FORT LAUDERDALE, Fla., April 25, 2018 /PRNewswire/ -- Boatsetter.com, the world's leading boat charter marketplace, today announces the acquisition of Smart Charter Ibiza, based on the Spanish Mediterranean holiday hotspot island of Ibiza. Famed as the go-to luxury vacation destination for the international jetset, the island of Ibiza offers top-end hotels, world-class dining and globally renowned nightlife. It is home to some of the most stunning landscapes in the Mediterranean, multiple UNESCO World Heritage Sites and a number of beautiful seaside villages that offer respite away from the crowds among hidden coves, pristine beaches and quiet cafés. With the acquisition of Smart Charter Ibiza, Boatsetter is now one of the largest yacht charter operations in the Mediterranean. This purchase of Smart Charter Ibiza is Boatsetter's first international acquisition and adds to its offerings a large fleet of top-end vessels in Ibiza, Formentera and Mallorca, now exclusively available to Boatsetter customers. This acquisition also adds to Boatsetter's world-class team a highly experienced international crew of seasoned yachting professionals with deep expertise in sales, business development and yacht management in key European markets. Now, Boatsetter's customer service team includes an elite group of European boating and sailing experts who are also Ibiza and Mallorca residents, able to provide Boatsetter clients local insights and guidance in the Mediterranean. "Our vision of making boating accessible to everyone everywhere is being powerfully enhanced with this acquisition. Boatsetter now brings an exclusive, world-class experience to our customers in Spain's Balearic Island, as we increase our expansion into the Mediterranean," said Pablo Vidal, managing director of Boatsetter Europe. "Becoming part of Boatsetter gives us the chance to rapidly scale our business, leverage their world-class technology and harness our deep experience in Europe to accelerate our now-combined company's growth and expansion in the Med," said Charlie Vale, former managing director of Smart Charter and newly appointed global head of sales at Boatsetter. Boatsetter is the world's leading boat sharing platform with boats throughout the United States, Mexico, the Bahamas, the Caribbean, South America and the Mediterranean. Boatsetter connects boat owners and licensed captains with renters, enabling anyone to enjoy almost any type of water experience they desire - cruising, active water sports, fishing, blue water sailing and more - regardless of their boating experience. Founded by seasoned industry veterans, Boatsetter offers the most convenient and safest possible boat rental opportunity for both owners and renters, with 24/7 customer support on and off the water; America's only full-coverage insurance for peer-to-peer boat rentals, covering owners, renters and captains; and best-in-class insurance coverage internationally. Smart Charter Ibiza is the largest boat charter company in Ibiza. 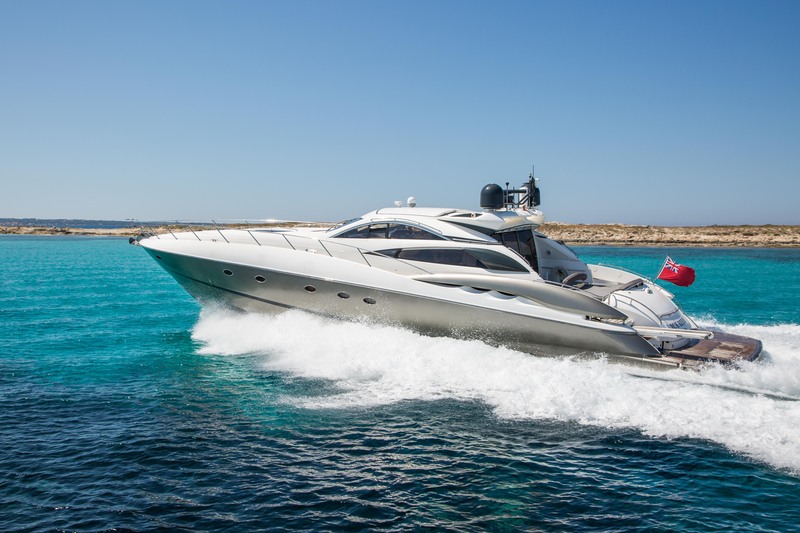 Smart Charter Ibiza's team is made up of a group of seasoned marine industry professionals who are passionate about boating and water sports. They have a one-of-a-kind professionally managed fleet on Ibiza, Formentera and Mallorca, all owned by the company's founders and newly updated for 2018. The fleet ranges from 28-foot runabouts up to 120-foot yachts with a wide selection of vessels in between.